Are we as readers and visitors to contemporary arts spaces aware of ourselves? The spectator’s experience of a work of art is, in the most part, dependent on what they bring with them and what they understand about the work but the spectator is much more then a member of a momentary group that go to see this thing, then move over there and observe that thing; they are a community. The position and power of the spectator as implied by the work of art has been a central question from the time of Denis Diderot, and has been regularly contested from Roland Barthes essay The Death of the Author to Michael Fried’s call for the passivity of the audience. 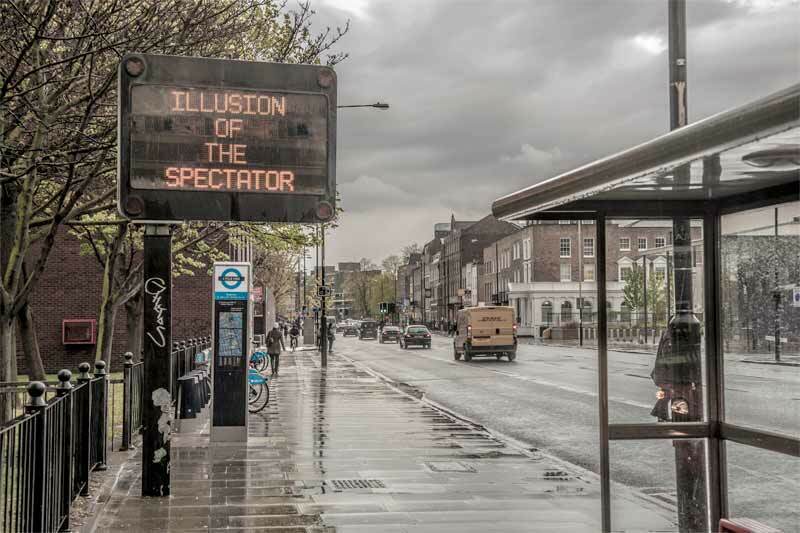 As the art world moves in to a new stage of social and political change this exhibition will once again pull focus on the spectator that Boris Groys describes as a self-aware community that has already been conditioned by the art world’s numerous emancipatory and participatory projects. This community has already accepted its participatory role, actively welcomed its new authorities, and is ready to reject or accept any denigration offered. This exhibition then will re-examine the position and power of the spectator by looking at what has caused this preoccupation with the spectator, the work of art and the artist; and ask whether these new forms of encounter empower or denigrates the audience. The artists selected for this exhibition create artworks, interventions and projects that use, as a fundamental part, the spectator in three distinct categories, the spectator as a participant, the spectator as a community, and the spectator as subject matter. These will serve as active interlocutors to continue this discussion through the duration of the exhibition. A panel discussion, featuring academics writers artists and curators, will debate the themes and concepts put forward by the exhibiton; especially the spectators encounter with the art object and arts new encounters.